Does an Allergic Reaction From a Cat Produce a Rash? According to the Humane Society of the United States, one third of American households have cats, and many families with cats have more than one. Millions of individuals have allergies to their domestic pets, and allergies are much more likely to occur in response to cats than to dogs. When a cat is introduced into a household, you should be on the lookout for any new allergies in your family, which may include skin allergies. The immune system defends your body against foreign infections. All allergies are due to an abnormal immune response to a normally harmless substance, known as an allergen. In cat allergies, the reaction is usually against a protein known as Fel d 1, which is produced by all cats. The protein is light enough to become airborne, and it can stay so for long periods of time. The amount of allergen produced is unrelated to the length of cat hair. Male cats may produce more of this protein. There is no breed of cat that does not produce the allergen. Cat dander is especially effective at inducing an allergic rash, called hives, in susceptible people. 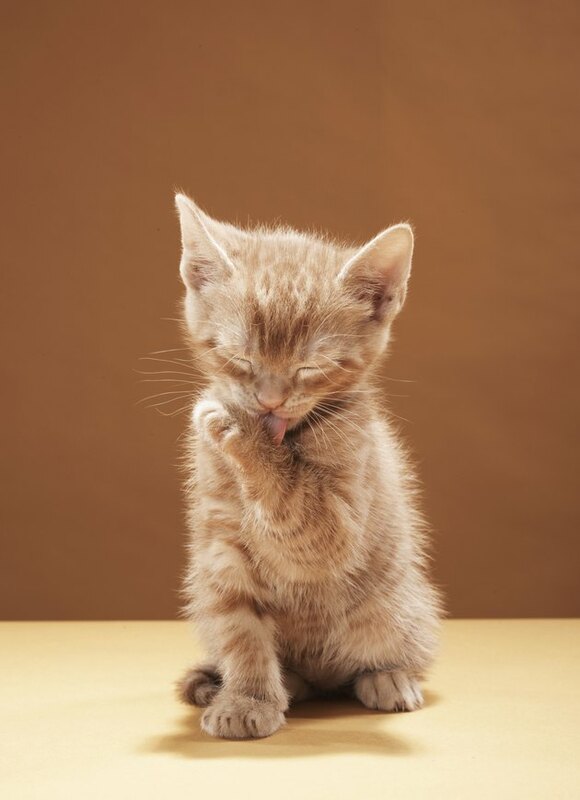 If you have skin allergies to cat dander, the rash can occur within hours of exposure to an animal. The symptoms of hives include skin swelling, redness and itchiness. These rashes are called wheals and may change shape or size over time. Hives usually go away on their own, but they can be extremely irritating. Cat exposure can also cause a number of other allergic symptoms. If you suffer from allergic rhinitis, you may experience nasal congestion, runny nose and sneezing. Some people have red, itchy and watery eyes, a condition known as allergic conjunctivitis. Other symptoms of allergies include have facial pain, cough and a bluish discoloration under your eyes. Cats can also cause a reaction of the subcutaneous tissue, known as angioedema. Symptoms include puffiness of the lips and face. Angioedema can also cause swelling of the larynx, causing difficult breathing. If you have allergies, they may be worsened by cat dander, leading to breathlessness, wheezing, difficulty breathing and chest tightness. Many of the allergic reactions to cats can be symptomatically treated with antihistamines. Newer antihistamines such as fexofenadine and loratidine cause minimal sedation and are often effective. Stronger, older antihistamines such as diphenhydramine may be more effective, but are more likely to cause sedation. Many of these medications are available over the counter. Other symptomatic treatments include decongestants, leukotriene modifiers and cromolyn sodium. Immunotherapy, while expensive and time-consuming, offers long-term, and possibly permanent, allergy relief. Even if you have a cat allergy, you don't necessarily have to give up your cat. Whether you have to or not depends on the severity of your allergies and if you can treat them easily. However, if you suffer from severe, uncontrollable allergies, this last-resort option may be necessary.